Andras joined Watsi on October 9th, 2014. 8 other people also joined Watsi on that day! Andras' most recent donation traveled 4,500 miles to support Susan, a teenager from Kenya, to fund thyroid surgery. Andras has funded healthcare for 19 patients in 9 countries. Meet Melany, a 20-month-old baby from Guatemala. Melany is the youngest of three children in her family and lives with her parents in a one-room adobe house with a tin roof. She enjoys playing with her dolls and her stuffed animals. Her mother works at home, cooks, cleans, and takes care of the children. Her father is a day laborer in the fields, who makes only a couple dollars per day. Due to malnutrition, Melany is below the average height and the average weight for her age. She currently is not consuming enough calories and enough quality foods. As a result her physical growth is stunted, and we worry her mental growth will be stunted as well. As a result of food insecurity and marginalization, indigenous Guatemalan villages have the highest rates of stunting in the world. In addition to growth stunting, malnutrition can lead to lower IQ, heart disease, diabetes, and obesity. $512 will fund the treatment Melany needs to address her nutritional deficit and improve her low energy and subsequent limited mental potential. This involves micronutrient and food supplementation, deworming medication to rid Melany of a parasitic infection, and nutrition education for her parents. With these combined efforts, Melany will recoup her weight and height and strengthen her immune system, laying the foundation for a healthier future. Anley, a 17-month-old boy, was born in Haiti with a cardiac condition called single ventricle, in which there is no wall between the two lower chambers of the heart, resulting in one large chamber. Oxygen-rich and oxygen-poor blood mixes freely in this chamber, depriving his body of the oxygen it needs. If untreated, this would be fatal. Anley lives in Port-au-Prince with his mother and grandparents. He is an only child. His mother is not presently working, though hopes to do so when Anley is healthier. He is a curious and happy child, and enjoys playing with toys and especially bouncing balls. Anley will require a diagnostic catheterization followed by an open-heart surgery to partially repair the problem, and then a second surgery one to two years later to complete his treatment. For $1,500, Anley will be transported overseas to the Cayman Islands, where Health City Cayman Islands will perform his surgery, in addition to subsidizing the $15,000 surgical cost. His mother shares, "When I first heard what was wrong with Anley's heart I was very scared, but now I have faith that he will be able to be a normal boy." 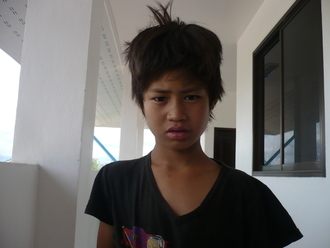 Tah is a ten-year old boy who lives with his parents and three siblings in Burma. Tah’s family has lived in Burma for their whole lives, living on a small farm where they grow food for their own consumption. His father, U Kyaw Poe, is the only member of the family who earns an income and works as works as an agricultural day labourer. Of his three siblings, Tah is the only one who attends school. He is currently enrolled in third grade, and enjoys his studies very much. His siblings do not attend school, but rather help their mother with farm work and occasionally accompany their father to his job as an agricultural day labourer. On May 18th, Tah was riding in the back of a vehicle transporting a large water jug through his village when the vehicle hit a bump and Tah tumbled out onto the road. The heavy jug of water that had been in the back of the truck also fell out, landing on top of him. He sustained a serious shoulder injury as a result of the incident, and when the pain did not subside in a matter of days his father decided to travel to Mae Tao Clinic (MTC) to seek medical treatment. Tah and his father had to walk a few hours out of their village in order to catch a car that would take them to Mae Sot. The journey by car then took between 3 and 4 hours, When they arrived at MTC, clinic staff performed an x-ray of Tah’s shoulder, which revealed that it had been broken in two places. The trauma unit at MTC then referred Tah to Burma Children Medical Fund (BCMF) in order to receive support for the reparative surgery he will need. Currently, Tah is unable to move his injured arm whatsoever. He is in severe pain at all times, and has had to miss school in order to travel to MTC for treatment. Before his accident, Tah loved to play soccer with his friends and brothers, but he can no longer enjoy this pastime due to his injury. His father wants him to be able to return to school and get a good education so that he can have a career more fulfilling than working as physical labourer. "I want to feel better and return to school without pain," Tah said. "I am unhappy that I have left ear pain and it is difficult to communicate with other people. Sometimes I can not go to school," says Bairang, a 17-year-old boy from Cambodia who enjoys listening to music and using Facebook. Bairang has had daily discharge in his left ear since he was six years old, due to an untreated ear infection. Despite seeking treatment at other hospitals in Cambodia, he continues to experience discharge, pain, and hearing loss in his left ear. He and his family traveled three hours from their home in Kampot for surgery. When he arrived at Children's Surgical Centre (CSC) in Phnom Penh, doctors discovered his condition was due to a cholesteatoma, an abnormal skin growth in the middle ear behind the eardrum. Without treatment, a cholesteatoma can continue to grow and cause permanent hearing loss, dizziness, facial muscle paralysis, as well as create infections that can spread to the brain and cause death. "I am a little afraid to have surgery," says Bairang, "but I need it. I hope that with surgery my ear discharge stops and I can have good health. I want to be a doctor one day to help people, and with good hearing I can do that." 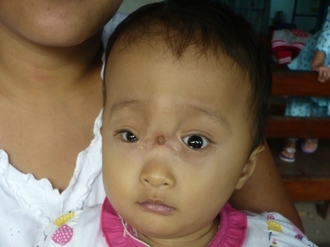 For $809, Bairang will have surgery to remove the cholesteatoma. With surgery, he will no longer experience discharge, pain, and hearing loss or be at risk for facial paralysis, infections, and death. Six months ago, Sophanith was caught in a fire. Our medical partner, Children’s Surgical Centre (CSC), tells us that as a result, he sustained serious burns to his right foot. These burns created contractures, which are shortening of the muscle tissues that cause stiffness. Sophanith is a two-year-old boy who lives with his mother and three brothers in Cambodia. He is happiest when he is playing with his toys and his siblings, but his right foot limits his play. Since the fire, Sophanith’s mobility has decreased significantly. His previous visit to a nearby hospital didn't bring any sustained improvement, and without any treatment, Sophanith faces long term hindered mobility. According to CSC, Sophanith needs a contracture release procedure and a skin graft. This will release the stiff burned areas, remove damaged skin tissue, and replace it with new healthy tissue. This procedure costs $280. CSC shares that “Sophanith's right foot will regain mobility after the contracture release and skin graft procedure." "I hope, after surgery, my son will be able to walk properly again,” says Sophanith’s mother. Zin is an 11-month-old baby boy from Burma. His father works as a day laborer and his mother stays at home to take care of him. Zin has hydrocephalus, a condition where fluid in the brain cannot drain properly and causes increased pressure. 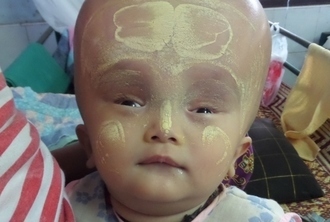 According to our medical partner, Burma Border Projects (BBP), Zin’s mother noticed that her only child's head was growing bigger one and a half months after birth. The family has sought treatment before but hasn't had success in treating Zin's condition. $1,485 will cover the cost of a procedure where a neurosurgeon will place a shunt in Zin’s brain and drain the excess fluids. This will help prevent any further damage to Zin's brain. “I hope that my baby can be healthy,” says Zin’s mother. "When she is feeling well she is so happy, and I want to see her back to that again," says Estefania’s mother. 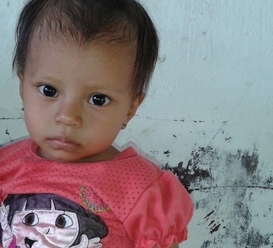 Say hello to Estefania, a one-year-old baby girl from Guatemala. 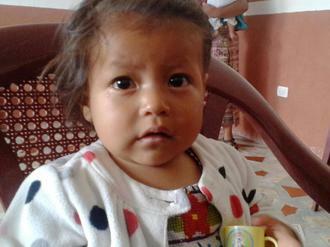 Staff at our medical partner Wuqu’ Kawoq tell us, "Estefania is a lovely little baby girl who is not growing well. She has recently had a bad intestinal infection which led to a lot of weight loss." She has been diagnosed with malnutrition and is in need of adequate nourishment in order to regain weight and to begin to grow and develop healthily. Her family makes enough money to get by, but medical care and high quality foods are too expensive. Wuqu' Kawoq reports, "They've recently met a few other children in town who've been helped by Watsi, and they've come to us looking for help. They are hoping that we can prevent future severe infections and help Estefania start to eat better and grow again." For only $535, Estefania will be able to receive treatment for her acute malnutrition, allowing her to regain her appetite and develop normally.